I'm offering all our Products plus Bonuses for less than HALF of the normal price, today! This offer is for you if you don't have the Silver Lotto System yet... or if you have just the System and want the rest of our Products at a massive discount. As you see, together this adds up to over $400 if you bought them all separately. And each year the value increases by $132 for LottoPredict. But you can get this package now for just $199 - and it lasts a lifetime. That means you get everything I sell all at a hefty 50%+ discount - and no more subscription payments ever. The Winner's Circle membership (3 months worth $89.85) is often closed to new members. I have set aside spots in a Group only for new LifeTime Pack buyers so you can always get a place with the Lifetime Pack. However, when these are taken up I will have to withdraw this from the LifeTime Pack. #2. 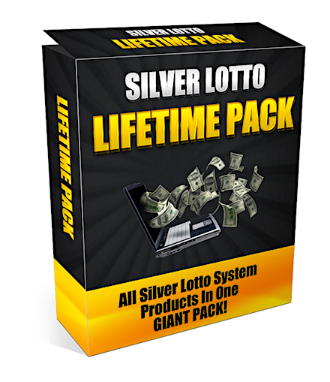 If you need to check out the parts of this offer, go to the Silver Lotto System sites for details on LottoPredict and PRO. #3. When I receive your payment, I'll ask you what PRO Custom Profiles you need and send them to you within 48 hours (they're done-for-you and take a little time). I'm only giving this Lifetime Offer out to a limited number of people, and the Winner's Circle membership is only open to a handful of new Lifetime Pack buyers. So take advantage of my generosity today - I don't know when the next opportunity will be. P.S. I'm not writing pages of sales talk about this offer. I don't have to tell you about the value of getting over $400 worth of Products for just $199. If you haven't figured it out yet - it is the best offer I have ever made in 25 years. PPS. 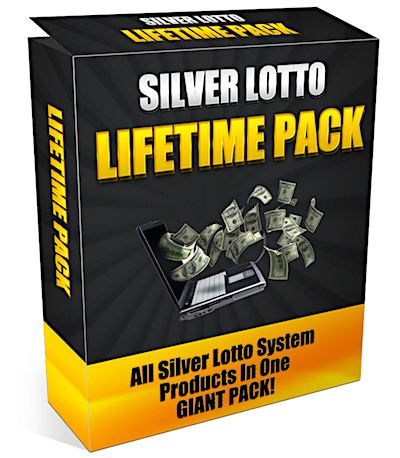 Sometimes we have been selling one of these Lifetime Packs EVERY DAY! It won't be long before all the spots are taken.